MicroTrends is a B2B Supplier to vendors in the NinjaTrader EcoSystem, Commercial Traders, Pro traders/Money Managers, CTAs & Hedge funds. Since 2006 MicroTrends has specialised with NinjaTrader Indicators Strategies Automated Trading Systems Development is probably the leading architect & quantitative developer of Automated & Discretionary Trading Systems Online for retail, professional, commercial traders, providing leading edge discretionary & automated trading systems consultancy & NinjaScript development services for Futures, Stocks, Equities, ETFs, Options, CFDs, Forex & Crypto Currency swing & day trading systems for traders. MicroTrends CEO & founder Tom Leeson is a real deal trader & developer actively trading & consulting for prop shops & hedge funds & has been directly involved with front desk & back office algorithmic trading & trade systems development since 1995 onwards commercially in the city of London’s trading arena. Since 2006 Futures Trader & Developer NinjaTrader specialist Add-ons & listed NinjaTrader Consultants since 2009 creating proprietary & evolved classical technical analysis trading indicators & strategies, realtime trade management risk control, commercial asset/portfolio. From EOD swing trading to Intra-day high frequency trading HTF algorithmic automated trade systems – don’t get caught short! we got you covered! 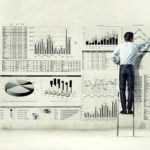 Click here to learn more about MicroTrends. 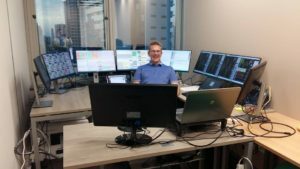 MicroTrends provides a wealth of experience, with algorithmic institutional trading, prop shop trading, hedge fund trading, asset management portfolio trading, professional day trading, real deal, real money proven trading experience. 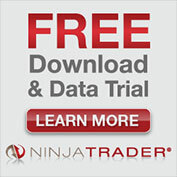 Get the best NinjaTrader Indicators Strategies Automated Trading Systems Development for NinjaTrader 7 & NinjaTrader 8. 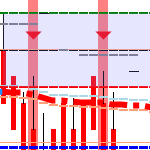 Real tools for real traders as designed by the MicroTrends. Real Deal Live money Traders Automated Trade Strategy System Developers, hire a developer who has delivered over a decade of professional NinjaTrader Script projects.